With so many options, where does one even start planning a visit to Morocco? 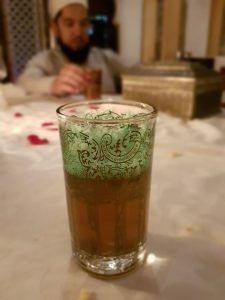 Everyone has heard about the famed squares and bustling souqs of Marrakesh set against the backdrop of desert views, or the saintly wonders of Fez with its ancient walls, madrassas and zawiyahs. But what about somewhere new? Someplace a little different…a little less travelled? 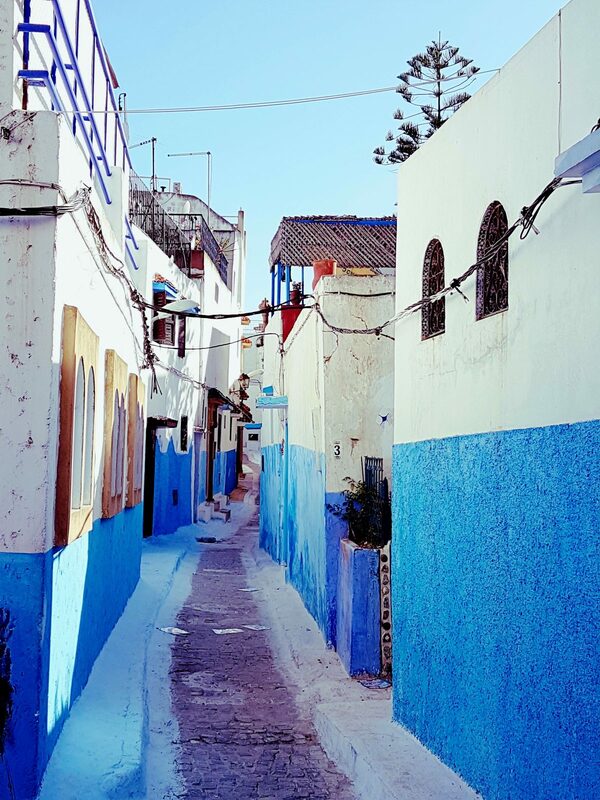 This oft-forgotten, wave-battered capital of Morocco hides a rich and colourful history waiting to be explored. The Old Medina of Rabat might be just the right place for someone looking for a quiet introduction to this beautiful country. Perhaps you are a traveller who wants to have a more local experience, away from the mass of tourists and equally numerous vendors peddling their wares and ornaments. An hour’s drive from Casablanca, the coastal city of Rabat sits at the mouth of the Bou Regreg River along with the ancient city of Salé which sits on the opposite bank. Founded by the Almohads in the 12th century, its Old Medina is adorned with several noteworthy attractions to fill up a day of sightseeing and exploration. 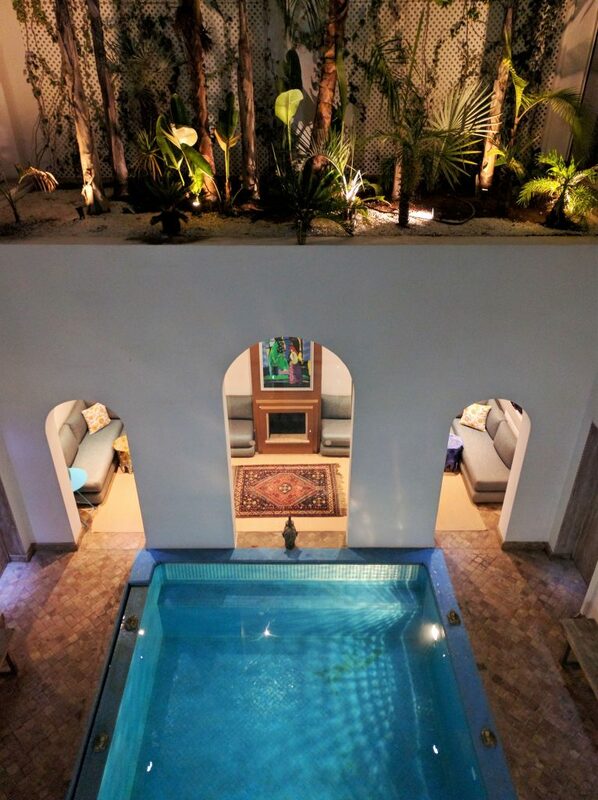 Wake up, stretch your arms and look down from the second-story terrace to the bubbling pool below. Already the hosts of your riad have prepared a breakfast for you in the shade; flaky pastries and fresh baked almond cream-filled croissants from a local patisserie. Once breakfast is finished you take a brisk walk to the Kasbah of Udayas. This fortress overlooks the turbulent Atlantic and as you pass its earthen walls, you enter a hidden sanctuary of blue and white dwellings. After following a course of narrow stairwells up and down, you reach the Andalusi Gardens. A small doorway between some hanging vines leads you to an opening which overlooks the Atlantic. Here, you stop for a cup of mint tea and watch several small boats take to sea. After the break, you continue along the edge of the Bou Regreg for the Tower of Hassan. This rising structure was once meant to be the largest minaret of its time but was never completed. You walk between the unfinished columns, while gazing up at this monument – a symbol of fleeting empires and past glories. 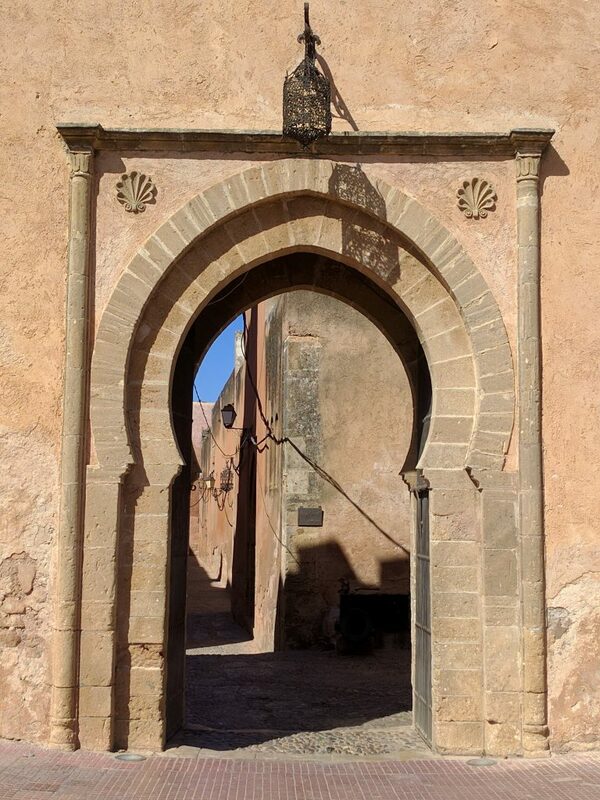 You return to the Old Medina and stroll through horseshoe archways into the narrow streets of the Andalusian Quarter. It is easy to get lost among the riads, mosques and souqs that crisscross this part of town. As you walk on, you find charming handicrafts, metal wares and leather slippers, handmade jalabiyyahs, argan oil and pottery. Someone calls out to you and holds up a leather handbag; another seller holds up an incense burner, his smile widening when he accepts your price. With several new purchases in your inventory, you enter a restaurant located in a historic riad. The dim flicker of candlelight cast its glow off the beautiful zillij mosaics that adorn the walls. A fountain tinkles in the middle of the floor mixing the sounds of the water with the soft notes of a lute being plucked in the background. 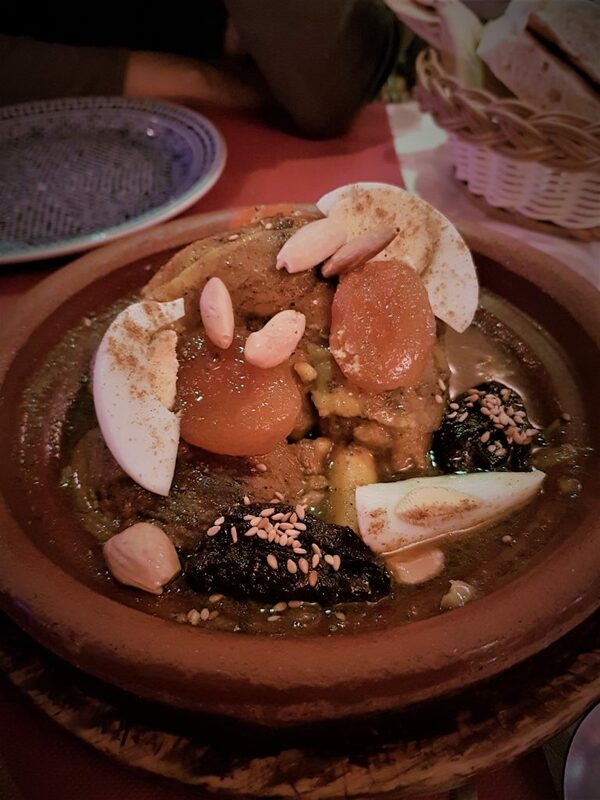 The clay tajine served before you steams with couscous, figs, almonds and meat that practically melts in your mouth. Content and fulfilled, the adhan suddenly rises from every direction, stirring your soul to the remembrance of Him. Before the night is out, have another cup of mint tea, recline on some soft cushions, and recall the day’s adventure.